Hi, I’m RAPHAEL FONSECA-FFINCH – 38 – campaigning journalist and adrenalin junkie, born of dual Scottish-Brazilian heritage. Hence the name. Despite what is says in my passport I’m a citizen of no country and travel the world alone in search of the next scoop, the next headline-grabbing story. My life is solitary and often dangerous, but that’s my choice. I have a driven personality and that makes me hard to live with. I have no time for emotional entanglements and that, conversely, makes women eager to ‘be the one’ to tame my free spirit. I’ve staked out a Boot Camp for Brides on the Norfolk marshes which I believe a Columbian cartel is using to smuggle drugs into the UK. I need to gain access to the camp, and for that, I need a ‘fake fiancée’. I’ve found one in the shape of rookie journalist Charlie Montague. However, I’m a lone wolf and concerned that taking on a partner will slow me down. Worse still – that shaking her off at the end of the assignment will prove harder than dodging the cartel’s bullets. Acquiring a phoney fiancee will enable me to enter and leave the boot camp without arousing suspicion. On paper, Montague seems ideal – keen to learn, smart enough to accept any terms and anxious to work alongside me. So far, so good; so why do I have the uneasy feeling I’ve caught a tiger by the tail? That, given half a chance she’ll go off-piste and do her own thing? There’s something about her which attracts me. God forbid that she will be the one who succeeds where others have failed. Bringing me to my knees and forcing me to admit that, underneath the hard-bitten exterior I’ve cultivated, I’m as lonely and emotionally vulnerable as the next man. 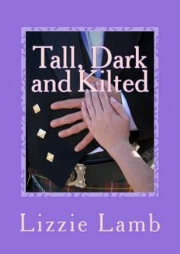 At the end of the assignment, will I be able to walk away from the Boot Camp Bride? You can also hop to all the stops on the Book Boyfriend Blog, collect the candidate’s name at each stop, then submit all 30 names to the same address in order to be entered into the GRAND PRIZE GIVEAWAY. This giveaway includes a Kindle Paperwhite + 30 e-books, one from each of the authors participating in the hop. Entries for the hop will be accepted until Sunday, May 21st at midnight – EDT. A winner will be chosen on Monday, May 22nd. 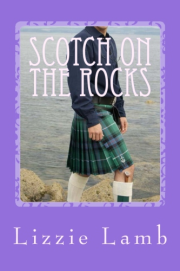 I’ll be gifting Boot Camp Bride so you can read how Charlie and Rafa’s love story unfolds. And the winner of our Grand Prize is Kathy Davis. I have already contacted Kathy and her new Kindle Paperwhite is on the way to her. As soon as she receives the e-reader and sets it up, we can each gift her a copy of the e-book we promised. 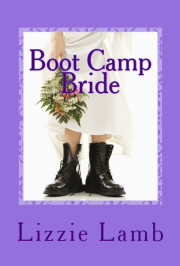 Once you have subscribed to my newsletter, your name will be entered into a draw to win a signed copy of BOOT CAMP BRIDE. Everything you need to know is on the newsletter, so hurry over there. Here’s the blurb for Boot Camp Bride . . .
Take an up-for-anything rookie reporter. Add a world-weary photo-journalist. Put them together . . . light the blue touch paper and stand well back! Posing as a bride-to-be, Charlee Montague goes undercover at a boot camp for brides in Norfolk to photograph supermodel Anastasia Markova looking less than perfect. At Charlee’s side and posing as her fiancé, is Rafael Ffinch award winning photographer and survivor of a kidnap attempt in Colombia. He’s in no mood to cut inexperienced Charlee any slack and has made it plain that once the investigation is over, their partnership – and fake engagement – will be terminated, too. Soon Charlee has more questions than answers. What’s the real reason behind Ffinch’s interest in the boot camp? How is it connected to his kidnap in Colombia? In setting out to uncover the truth, Charlee puts herself in danger … As the investigation draws to a close, she wonders if she’ll be able to hand back the engagement ring and walk away from Rafa without a backward glance.